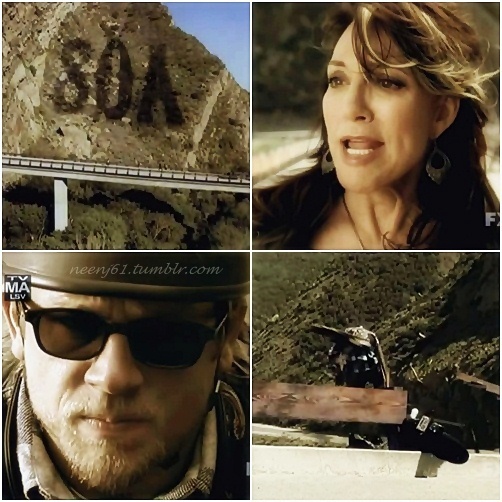 SOA new season. . Wallpaper and background images in the Gemma Teller Morrow club tagged: gemma teller morrow sons of anarchy katey sagal gemma charlie hunnam soa jax teller. This Gemma Teller Morrow fan art might contain 거리, 도시 현장, 도시의 설정, 도시 장면, 도시 설정, 도시 거리, and 도시 장면 설정.